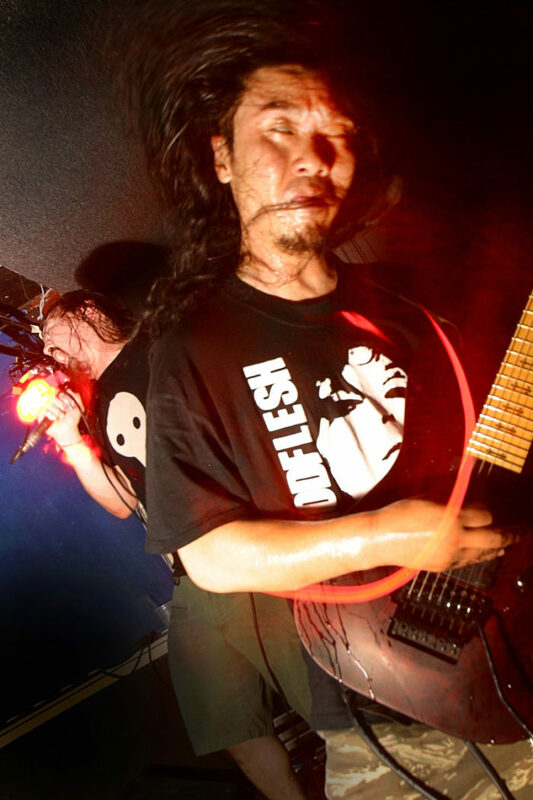 Matsubara submitted the track to Unknown Pedal Australia for their promotional use as he uses their Decompose pedal which of course was used to record the track. This track is some of his first new music since he unfortunately suffered an inflammatory brain infection shortly after the release of Gridlink’s Longhena and undergoing extensive rehabilitation in order to play guitar again. I received this song from Takafumi Matsubara (Gridlink, Retortion Terror, ex-Mortalized, ex- Corrupted). This song is freaking awesome and he gave us permission to use it for our videos from now on! Very heavy and brutal sound!! He used Decompose into JCM2000 crunch channel. Gain 6, Vol 8, bass, mid treble 9. JCM2000: Gain 5, other knobs are all full up. Btw They dedicate this song for the late- Hee Chung ( Unholy Grave official, Naquro, ex-Shady Glimpse). I was also good friend with hee-chung so I’m honor to join this song. He must be listening this song and laughing in the heaven, I guess. Anyway, you can hear the pedal tone in Matsubara’s solo album in near future:) Thanks for watching!! *btw I found some misspeling in there. Im going to correct it later in other post coz many friends had shared this post so! !